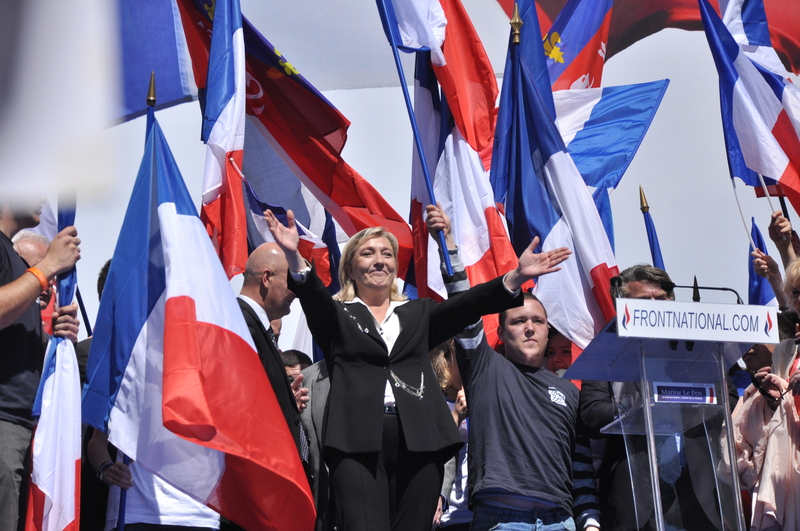 The meteoric rise of the French National Front in the 2014 elections has further undermined France’s ailing influence in the European Parliament, according to a report by the Schuman Foundation. The French positions in the Council and the Commission have not deteriorated to the same extent. EURACTIV France reports. Germany has left France eating dust in the race for influence in the European Institutions. In a study analysing the influence of member states in the institutions since the European elections last May, the Robert Schuman Foundation observed “a significant loss” of French influence in the European Parliament, as a result of the huge influx of National Front MEPs. Of the 52 non-attached Members of the European Parliament, 23 are from the French National Front (NF). Without the structure of a political group, these MEPs have no access to the top jobs in the hemicycle. “The number of French members that could potentially obtain one of these positions is limited to the 51 members of the political groups,” the report points out. The rise of the NF has also diminished the influence of the other French parliamentarians within their different political groups. Despite having the second largest total number of MEPs, France has only the third largest delegation within the centre-right EPP group, the dominant force in the Parliament. The French socialist delegation is even weaker, in sixth place in the S&D group, while in the Green and Liberal groups, France holds second place. Criticism of French MEPs is nothing new in Brussels. French MEPs stood out during the previous mandate (2009-2014) for their high rate of resignation from the Parliament: 18% abandoned their elected position in Brussels in favour of another job, compared to only 4% of German MEPs. Another factor indicating a decline in influence is the fact that French MEPs are elected for an average of 1.76 mandates, while their German and British counterparts are elected an average of 2.48 and 2.23 times respectively. Parliamentary experience directly influences the allocation of positions of responsibility, where the French are falling behind. “France currently has 26 MEPs with important responsibilities, fewer than Italy, which has 29, the United Kingdom, with 28 and Germany, which holds 56 important positions,” the report underlines. Distribution of positions of responsibility by nationality in the European Parliament, December 2014. France also lost two of its four Parliamentary Committee presidents from the previous legislature, retaining only Alain Cadec (Fisheries) and Jean Arthuis (Budgets). French influence in the Council has also been affected by the rise of the National Front. Among the various Directorates General of the Council, France has the fourth largest number of representatives, with one Director General, four Directors and nine Heads of Unit. Managerial positions by nationality in the Council of the European Union. But since 1 November, the voice of France in the Council no longer carries the same weight as that of Germany. Despite increasing their hold on the Council’s important positions from 8.4% to 13%, “this gain should be viewed in context, because if the [French] influence has risen in relation to the less populated countries, France has lost its historic parity with Germany, which now holds 16% of the important positions,” according to the Schuman Foundation report. If the situation of the French is bleak in the European Parliament and uninspiring in the Council, they appear to be having a better time in the Commission. France now holds 29 positions in the cabinets of the European Commissioners, up by one on the previous executive. The Germans hold 25 Commission cabinet positions, including four Heads of Cabinet and five Deputy Heads of Cabinet. The French have one Head of Cabinet and five Deputies. Despite being present in the cabinets of 20 European Commissioners, French representation is conspicuously absent from strategic positions of influence in the cabinets dealing with development assistance, to which France is one of the main contributors, as well as social affairs, energy and climate. The European elections took place in May 2014 across all 28 member states. The occasion was marked in France by the election of 24 members of the National Front, one of which then left the party to join the EFDD group. The extreme right party had only 3 MEPs in the previous legislature. The changing face of French representation in Brussels has sharpened the decline of French influence in the European Parliament and the other institutions. French influence in the European Parliament. The issue of choosing candidates (in French) - January 2014. Influence by presence in the European Institutions (in French) - March 2015. France in quest of a European narrative - February 2015. EURACTIV Greece: ????????? ??????? ??? ???????? ???????? ??? ??????????????? ???? ??? ????? France and the UK seem to be going down the same road here, the road to irrelevance, that is. These are just the new lunatics endeavouring to run the asylum. Why precisely a party who wants to separate from the EU strives for representation, is still not clear to me, it just makes it clear again how they are their own worst enemy and most likely won’t achieve anything. They are a temporary phenomenon and will die off soon enough. This century makes different demands then they are prepared to answer. Correction – National Front undermines Brussels influence in France.